Not everyone falls for Tirana. 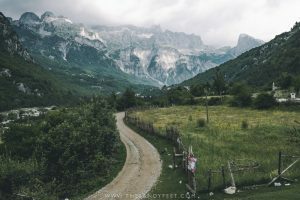 In fact, some are utterly perplexed as to why anyone would spend more than a day there when there are the glorious coast and rugged mountains of Albania’s north to contend with. 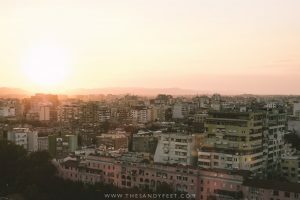 But after spending the previous few months traipsing through some of Europe’s most enchanting historic towns, where elegant streetscapes and impossibly pretty buildings had all but begun to blend together in a sea of pastel and cobblestone streets, the clamour and vivacity of Tirana came as a wonderfully unexpected surprise. See, Tirana is not a pretty city, nor is it a capital with an endless list of iconic sights. Instead, it’s a place that, despite its turbulent past and struggling present, is simply bursting with life. As sunlight washes over the city streets, pavements transform into an obstacle course of grimy bike mechanics hard at work, colourful fruit stands and second-hand shops. Gritty, ramshackle back alleys lead seamlessly onto brightly coloured plazas where trendy cafes clash with authentic, hole-in-the-wall eateries. Obtrusive reminders of the country’s tumultuous history dot every street corner beside modern skyscrapers that climb high above the chaotic streets. 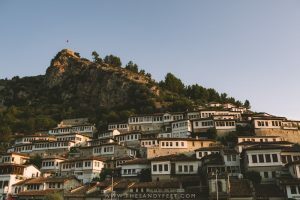 And when the frenetic energy of Albania’s capital proves a little too much, the striking peaks on the outskirts of the city makes a perfect place to find a brief reprieve. 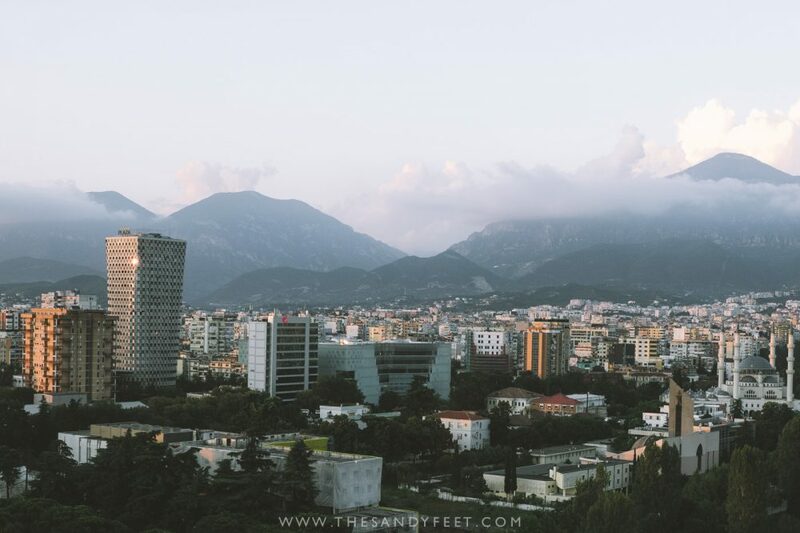 Somehow Tirana wasn’t at all what I expected – but it was so much better – and in the grips of World Cup fever, it made an excellent spot to while away a few lazy summer days in the Balkans. Planning your trip? These are the best things to do in Tirana. 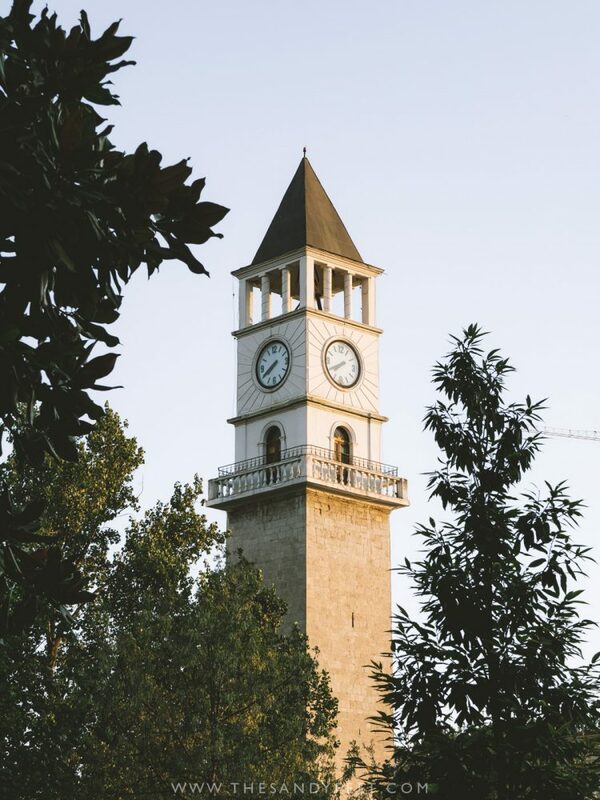 To really understand anything about Albania’s present, it’s important to take a look at the country’s past, and a walking tour is an excellent place to start and one of the best things to do in Tirana. Honestly, I knew very little about Albania before setting foot here. Having spent several months in other parts of the Balkans, I had very wrongly assumed that Albania had followed a similar path, but having spent many years under Ottoman rule and slipping into Communism but not joining its neighbours as part of Yugoslavia, Albania actually has a very different, very harrowing story. Our guide, Eri, a quick-witted local history graduate, wove together legendary tales of Albania’s hero Skanderbeg, the whimisical choices that lead to the city’s brightly painted centre, amusing anecdotes of his family’s experience in the wake of Communism and the the dark times that preceded it into a thoroughly informative and gripping few hours, as well as ticking off a number of the city’s main attractions, such as the Pyramid of Tirana, Skanderbeg Square, Ethem Bej Mosque, the Clock Tower, Toptani Plaza, . Looming beyond the timeworn apartment blocks that mark the outskirts of the city lie the verdant peaks of Mount Dajti National Park. You can either hike to the top or take the scenic 15-minute cable car ride to the top – a quick and easy way to swap the frenetic city streets for lush foothills and beautiful views in a matter of minutes. 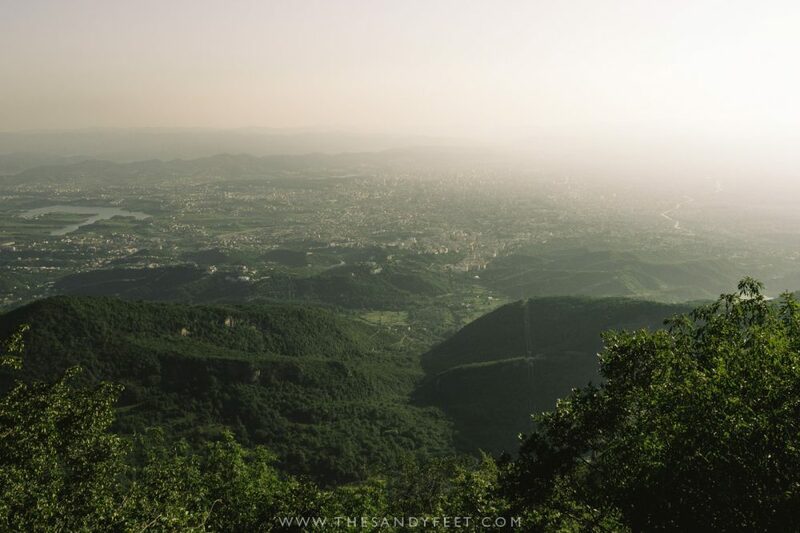 Though thick smog tends to wrap the city in a blanket of hazy blue, on a clear day you can see all the way to the sparkling ocean and across the mountains that lead to Montenegro and Kosovo. 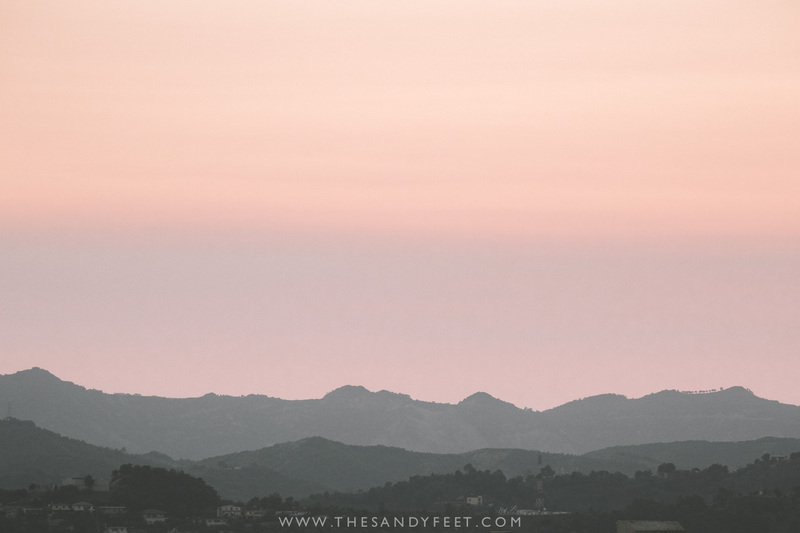 It’s an excellent spot for sunset, with the best views on offer at the Ballkoni Dajtit restaurant or the rotating 7th-floor bar of the Dajti Tower. Getting There | Jump on any of the pale blue city buses leaving from behind the National Opera Theatre near Skanderbeg Square and ask for Mount Dajti. These depart regularly and will drop you a short walk from the lower cable car station for just 40 lek (€0.30). Opening Hours | The cable car, Dajti Ekspres, runs from 9 a.m. to 9 p.m. in summer and 7 p.m. in winter with the last cable car up leaving 30 minutes before closing time. Closed on Tuesdays. Price | An adult return ticket costs 1,000 lek (€8). Unfortunately, the Bunk Art + Cable Car combo ticket is no longer available. 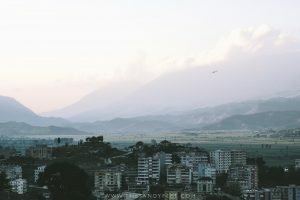 ESSENTIAL READING: ALBANIA TRAVEL GUIDE: 10 INCREDIBLE PLACES TO VISIT IN ALBANIA! If the walking tour whet your appetite for Albanian history, then Bunk’art should be your next stop. Set in the original atomic bunker of communist dictator Enver Hoxha, Bunk’art traces the rise of fascism, communism and the brave rebellion that led to Albania’s eventual liberation. The space is enormous, very atmospheric and, honestly, there’s almost too much to take in, but a few hours here is sure to leave a lasting impression. For those without the time to travel to the city’s periphery, Bunk’art 2 located in the heart of the city provides a smaller alternative. Getting There | Located a short way before the Dajti Ekspres Cable Car, it makes sense to visit these two attractions on the same day. Start with Bunk’art before walking up to the cable car for sunset. Take the same bus as mentioned above. Opening Hours | 9 a.m. to 6 p.m. in summer or 4 p.m. in winter. Closed Monday and Tuesday. Price | Entrance is 500 lek (€4). Amidst the kerfuffle of central Tirana, the Grand Park and its artificial lake provide a much-needed respite. Encircled by trees and parkland with a network of paved pathways that take in the lake and forest, a peaceful stroll here is a wonderful way to while away an afternoon. See families picnicking in the shade, runners getting their daily dose of endorphins or meeting friends over lunch. 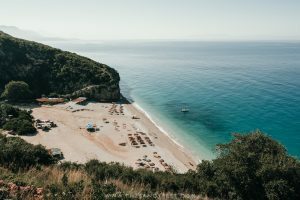 DON’T MISS: WHERE TO FIND THE BEST BEACHES IN ALBANIA! 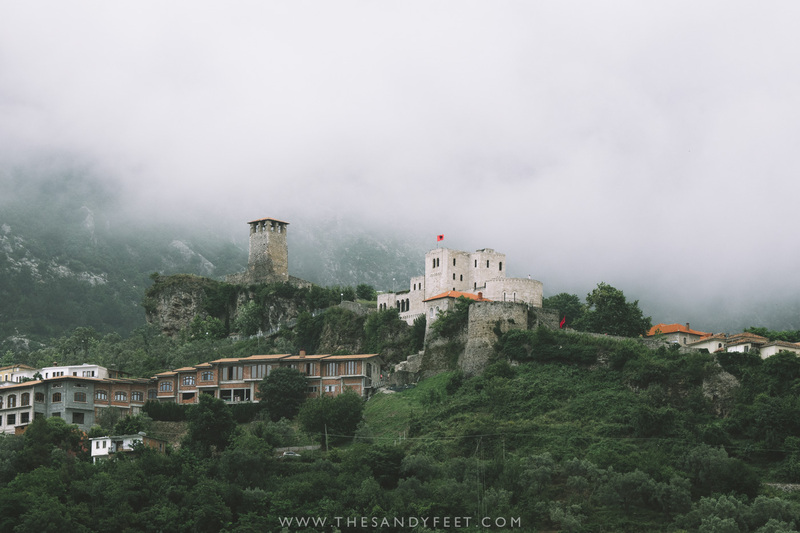 If you hadn’t heard of Skanderbeg before arriving in Albania, you’ll certainly know who he is by the time you leave. As a young nobleman, Skanderbeg was taken as a hostage and trained to serve in the Ottoman army. Decades later during battle in Albania, he deserted his cause and took up seat as the lord of Kruja before going on to lead the Albanian rebellion against the Ottoman Empire. This fabled saga is memorialised throughout the country with its hero as the namesake of just about anything of great importance. 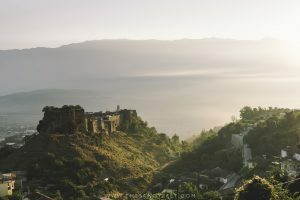 Nestled beneath moody, mist-covered peaks, Kruja and its castle make a great half day trip from Tirana. 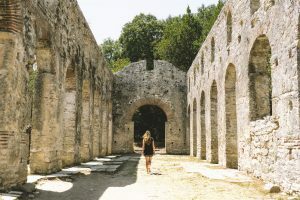 Wander through the ruins of the old castle complex, sift through antiques that decorate the cobbled high street and step inside the Skanderbeg Museum for the rest of this revered character’s tale and beautiful views from the second-floor balcony. Try to arrive early though as this is a popular stop with tour buses in the afternoon and can get rather crowded. Top Tip | I was highly recommended to try a unique traditional dish from the region called Kabuni which, strangely enough, is a sweet sticky dessert made from meat. Slow cooked and infused with Christmassy spices, fruit and rice it’s certainly an interesting concoction and worth a try. Getting There | Though you can visit Kruja on an organised tour, it’s easy enough to reach independently. Buses leave about every 2 hours from the North Bus Station and take around 1 hour to reach the historic part of Kruje. During my visit, bus departures were 10 and 11 a.m., and 1, 3, 5 and 6 p.m. Alternatively, minibuses depart frequently from the parking lot beside the bus station for Fusha-Kruje – the lower part of town. From here you can transfer onto another bus which will take you to Kruja on top of the hill. To return, either confirm direct departure times with your driver when you arrive or simply jump on any bus bound for Fusha-Kruje which leave every half hour and transfer onto any bus bound for Tirana. The direct bus from Tirana to Kruja costs 100 lek (€0.80) while the broken up trip will cost a little more. Short on time? Search here for the best Kruja Day Trips. Price | The castle complex is free to explore, while entrance to the Skanderbeg Museum is 200 lek (€1.60). Standing on the edge of ‘the block’, modern Tirana’s trendiest hub, it’s rather confronting to think that this area once existed as a gated and heavily patrolled pocket of the city where the country’s fiercest communist defenders lived the high life behind closed doors while their countrymen sank deeper into poverty outside the compound. Today, Blloku is a buzzing grid of the city’s best restaurants and cafes, stylish boutiques and hip bars. It’s where Tirana comes to eat, shop and party, until midnight when the area closes its doors. It’s an area rich with history too, and, stopping beside KFC, Tirana’s first and only American fast food joint, our guide delights in informing us that the sinister house opposite the colonel’s mocking smile was the former residence of communist leader Enver Hoxha. Another stark reminder of the Balkan people’s unwaveringly dark sense of humour. 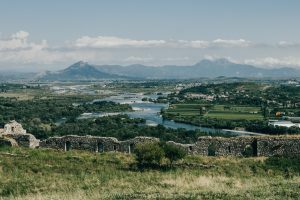 READ NEXT: THINGS TO DO IN SHKODRA! Albania is hardly known as a foodie destination, but a powerful shift by some of the country’s keenest restauranteurs has brought about something of a food revolution. 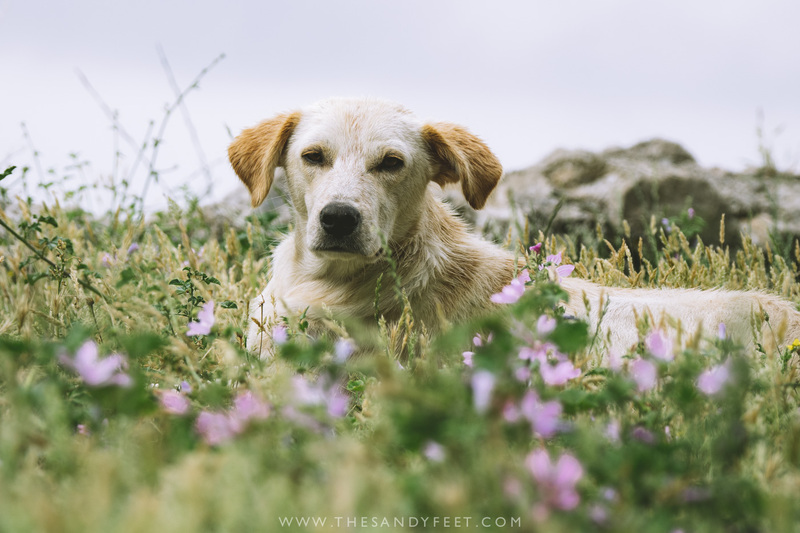 Albania’s slow food movement embraces a wholesome farm-to-table approach that celebrates locally sourced organic ingredients and local culinary traditions and, farm by farm, restaurant by restaurant, is transforming the country’s food scene. While the wonderfully charming Mullixhiu sits in the heart of the city, a number of other fantastic restaurants dot in the nearby countryside alongside the fertile terrain that has allowed this food evolution to become such a wild success. Unfortunately, I didn’t get to visit the farms outside the city but I did meet several travellers who gave them rave reviews and next time, I won’t make the mistake of missing out. This article explores Albania’s slow food movement in depth and has some great recommendations for locally run farms and restaurants in the region. Down an unmarked alleyway, through a doorway hung with greenery sits Oda, a wonderful place to try authentic homecooked fare in the heart of Tirana. The menu is brief but stuffed with local favourites, wreaths of garlic decorate the doorframe and faded black and white photographs crowd out the walls of this traditional Albanian eatery. There are plenty of vegetarian options available as well, and for those dining solo or looking to try a bit of everything, half portions of almost anything can be ordered for half the price. Slightly better tended than Oda, Era serves up beautifully prepared Albanian and Mediterranean dishes with a modern twist. Considering it’s one of the best restaurants in the city, meals are excellent value and it’s not at all uncommon to get 2 courses and drinks for less than €10. Unsurprisingly, it does get busy with locals and tourists alike, so don’t be surprised if you get turned away for not having a reservation. 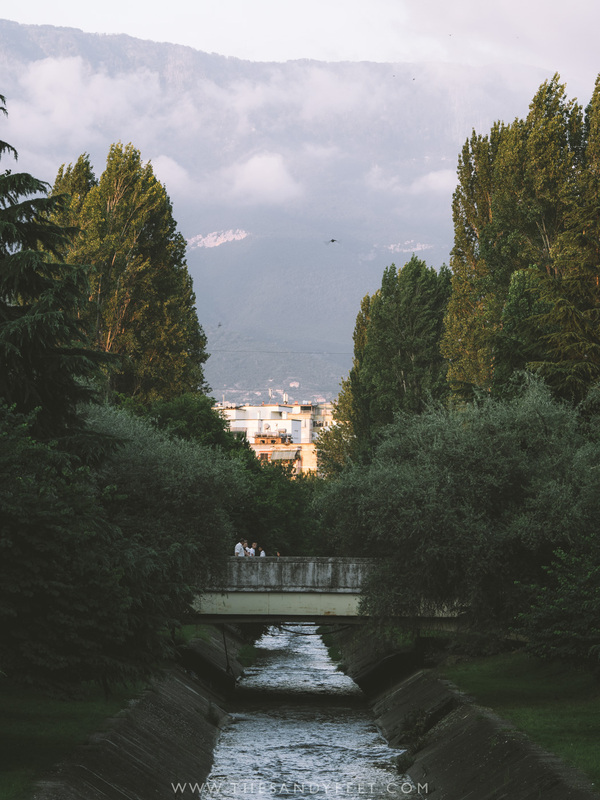 Wedged along the banks of Tirana’s artificial lake, Mullixhiu is a lovely place to escape the craziness of the city. Surrounded by a sea of untreated wood, corn cobs and fraying hessian, and with a trio of flour mills churning away quietly along the front wall, it’s a place that brings an oasis of rustic farm life to the city. As leaders in the flourishing Albanian slow food movement – keep an eye out for the sticker on the door – the food here retains a similar wholesome charm and incorporates the best seasonal ingredients. The excellent value 6- and 8-course degustation menus (up to €15) are a popular choice here, though rest assured if you order a la carte, you’ll be served up a series of complementary sides to round out the dining experience. When Tirana swelters through the baking summer heat, it’s time to make a beeline for Cioccolat Italiani. Credited with having the best ice-cream in the city (no arguments here! ), this delectable, if a little pricey, dessert house in the heart of Blloku is the place to come to satisfy all your sweet tooth and gelato cravings. For those on a tight budget looking for a cheap but filling feed, you’ll find plenty of local grill houses dotted throughout the city serving up an abundance of fresh salads and vegetables and their speciality grilled meats. Set just around the corner from my hostel, Tirana Grill 2 (Zgara Tirana 2) became a frequent stop for a lazy, delicious and excellent value dinner. For a cheeky G&T with the best views of the city, set your sights high and head to the top of Sky Tower. Sure, it’s a little sterile, but the views from the revolving deck are unbeatable, especially around sunset. This hole-in-the-wall bar is a something of a Tirana institution. Like a faded, frozen in time postcard from the 70’s, it’s crammed full of communist-era memorabilia, traditional Albanian wares and oodles of atmosphere. But, it’s the extensive list of raki on offer – a homemade fruit brandy ubiquitous in the Balkans – that is the main reason why visitors cosy down in this characterful little establishment. 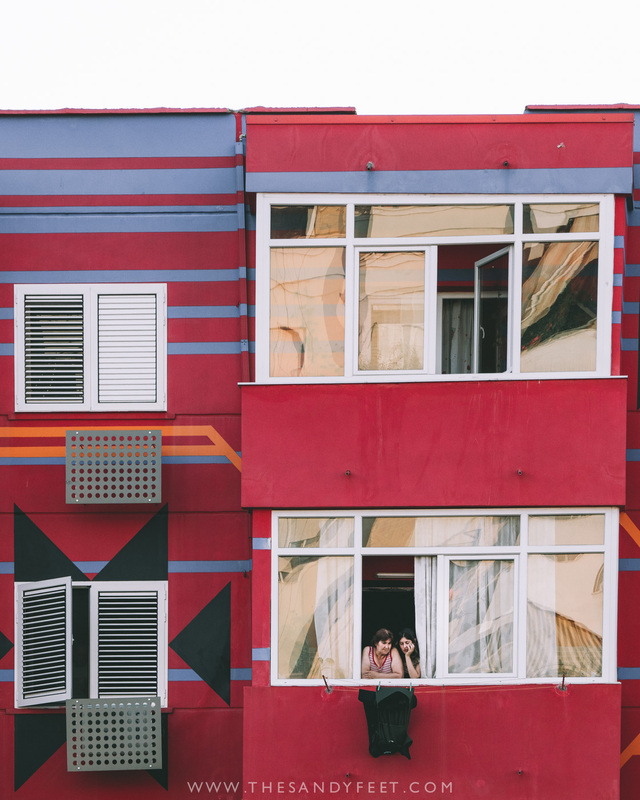 Tirana Backpackers Hostel | Albania’s first ever hostel, Tirana Backpackers, is well located between the bus station and Skanderbeg Square and has become a favourite hangout spot for travellers in Tirana. The artsy outdoor space, decent breakfast and affordable family dinners make it a great choice of hostel in Tirana. Read the latest reviews on TripAdvisor, or check prices on Hostelworld or Booking.com. Trip ‘n Hostel | Slightly livelier in the evenings than other Tirana hostels, Trip’n Hostel is another top-rated option complete with a spacious (if a little smoky) outdoor area, cosy indoor lounge, great made-to-order breakfast and very knowledgeable staff. Hostel Milingona | Colourful Milingona provides a relaxing space to escape after a day in frenetic Tirana. Kitted out with traditional Albanian wares and with plenty of space to socialise – including the leafy garden area – this is another great choice in Tirana. A guest kitchen and free raki are other bonuses. 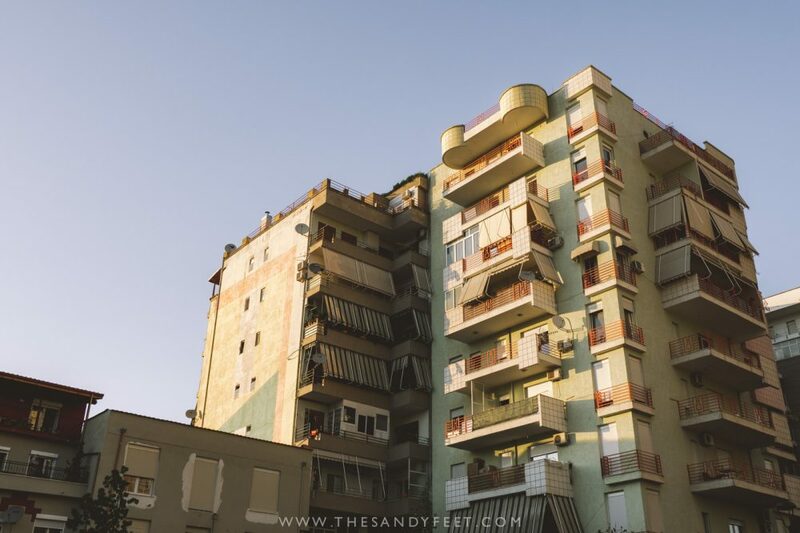 During my time in Tirana, I stayed mostly at the hostels, but you’ll be pleased to know there are dozens of beautiful hotels, guesthouses and apartments dotted throughout the city. These ones come highly recommended online. Garden B&B | Set in a lush garden a short walk north of Skanderbeg Square, this charming family-run bed and breakfast is a great place to escape the city bustle. Rooms are spacious with an ensuite and include breakfast. Privates from €30. Read the latest reviews on TripAdvisor, or check prices and availability on Booking.com. Hotel Boutique Gloria | Guests love the excellent breakfast, friendly staff and comfortable beds at this top-rated hotel in the heart of Tirana. Rooms are beautifully designed with prices starting from €45 including breakfast. Read the latest reviews on TripAdvisor Check prices and availability on Booking.com. Airbnb | For a more home-away-from-home experience, Airbnb is an excellent option in Tirana. New to the platform? Sign up here and receive up to $30 off when you make your first booking. Flying into Tirana is surprisingly expensive compared to elsewhere in the Balkans as few major budget airlines fly here directly – but things are starting to change. 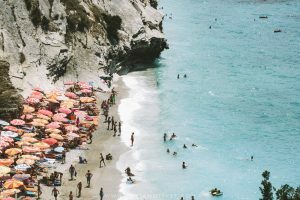 If you’re planning to visit several destinations in Albania, it’s often more economical to fly into Corfu and catch a ferry across to Saranda in Albania’s south instead. Search flights to Tirana now on Skyscanner, or download the Skyscanner App to have the best deals at your fingertips. An airport shuttle runs between the city centre and airport almost every hour on the hour between 7 a.m. and 10 p.m. from the city, and 8 a.m. and 11 p.m. from the airport. The bus departs from behind the National Opera Theatre near Skanderbeg Square and costs just 250 lek (€2). Airport taxis are metred and charge a standard rate of 2,000-2,500 lek (€16-€20) from the airport to Tirana’s centre and wait in a queue right outside the terminal. Many hostels and hotels can also arrange a pickup service where someone will meet you at the gate and provide the correct directions to your taxi driver for a few extra Euros. Be sure to have your accommodation’s address written down as many drivers don’t speak English. 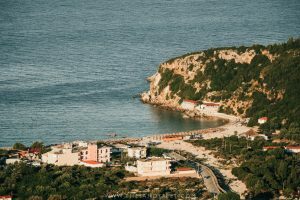 For the slow traveller, arriving by sea might just be the perfect way to get your very first glimpse of the Albanian coastline. 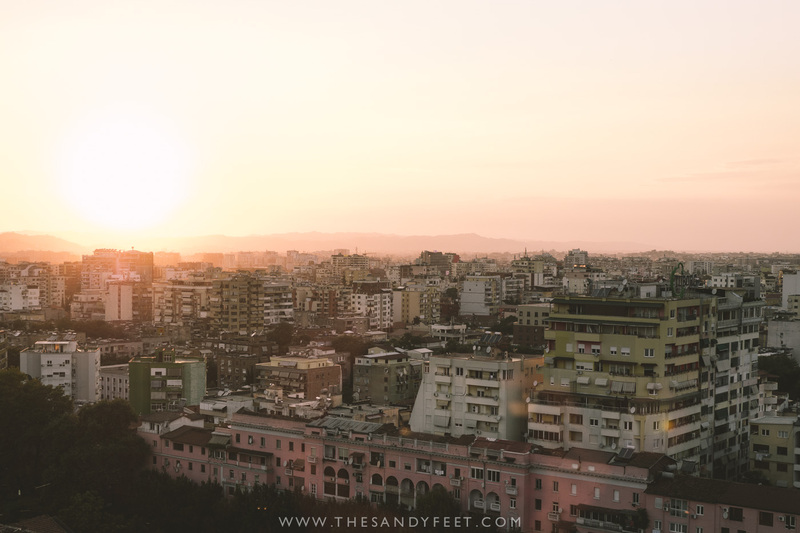 Durres, just a 30-minute drive from Tirana, is a major port with ferry connections from Bari, Ancora and Trieste in Italy. Buses run regularly between Durres and Tirana. Check ferry routes and timetables here. Tirana doesn’t have one centralised bus station but rather four different ‘terminals’ spread along the outskirts of the city centre. Daily international services run to Montenegro, Macedonia, Kosovo, Croatia and Greece from the International Station. Most terminals are more or less within walking distance from the centre, but much easier is to take a city bus. The South, International and North Stations can all be reached on any bus labelled ‘INSTITUT’ or ‘KAMEZ’ leaving from behind the National Opera Theatre and driving down Rruga Dritan Hoxha. For the Southeast Station, take any bus labelled with TEG/SAUK leaving from near Rruga e Kavajes at Skanderbeg Square. All city buses cost just 40 lek (€0.30), paid to the attendant on board. Heading to Albania? Start Planning Your Trip With These Helpful Guides! Really cool city, visited in 2014 and need to get back!